Some places just do not like glass bottles. So, in order to bring some beer to my holiday weekend festivities I needed to stock up on canned beer. The upside was that I “needed” to make a trip to the liquor store to peruse the aisles for something contained within aluminum that could whet my whistle. Sure, Leinenkugel’s Summer Shandy was calling to my from 16 ounce cans in the cooler but I wanted something different. With the heat approaching 90 degrees and the sun feeling like it was trying to melt my face off, an IPA or stout or other heavy beer style was off the table. Breckenridge Brewery came to my rescue with two options in cans: Avalanche Ale and Summer Bright Ale. 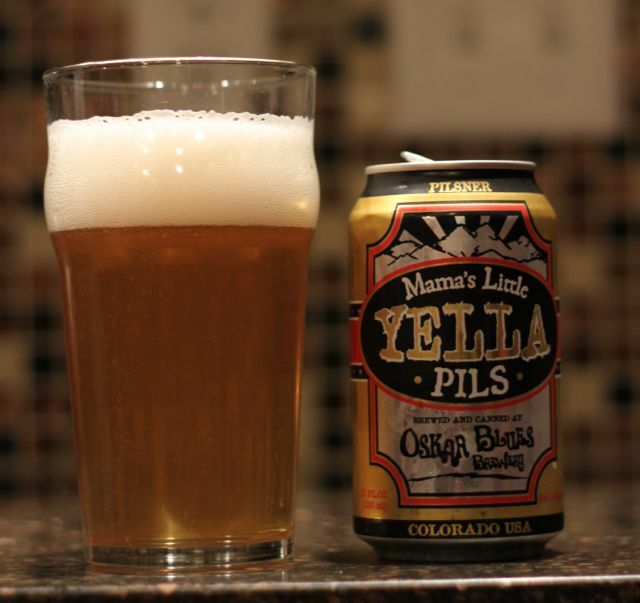 This style, along with different varieties of pale ale, is one of the hallmarks of the American craft beer movement. A relatively light (4.4% ABV) and mild (19 IBU) Avalanche Ale drinks easily on a warm day without tasting like straw colored water. One thing that I really appreciated about Avalanche Ale was the inclusion of Chinook hops which are quickly becoming my favorite variety in homebrews. The great thing about the amber ale style is that it can accommodate so many variations across the beer spectrum. 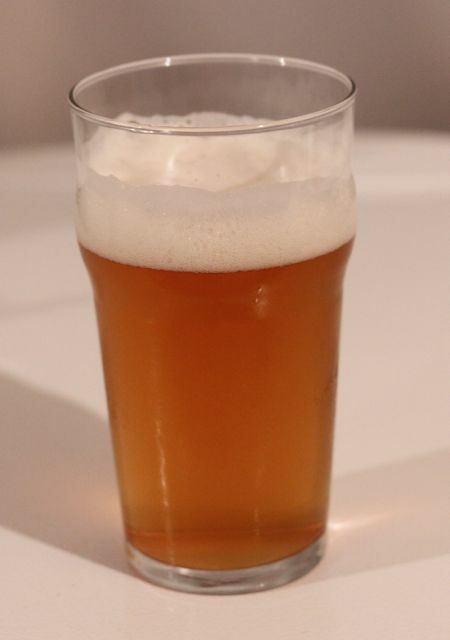 There is lighter fare, like Avalanche Ale, and much more heavy fare, like some of the homebrews that my friends have shared where the alcohol is north of 7.0% ABV and the bitterness is approaching 70 IBU. The key is that the malt really provides a structure for the brewmaster to make an imprint. Reading the can after pulling one out of a slushy cooler with temps above 90 degrees I was ready for summertime perfection. Instead, I was left with a totally lifeless beer. 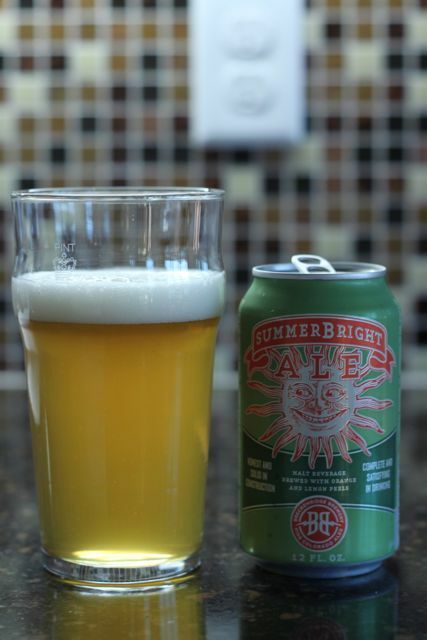 I cannot really pinpoint what went wrong with Summerbright Ale because I think many things are off. There is very little malt structure whatsoever. Therefore, you are left with a beer that just flies off your palate in no time like a drink of cold water. It’s really on par with the malt structure of your typical canned American light lagers you see guzzled by the caseload over the Fourth of July. There is also no hop profile to speak of either. I am not a “hop head” seeking out the most bitterness all the time, but beer needs to have a balance between malt and hops to provide flavor. Summerbright Ale did not have any of this interplay and came across somewhat tasteless. 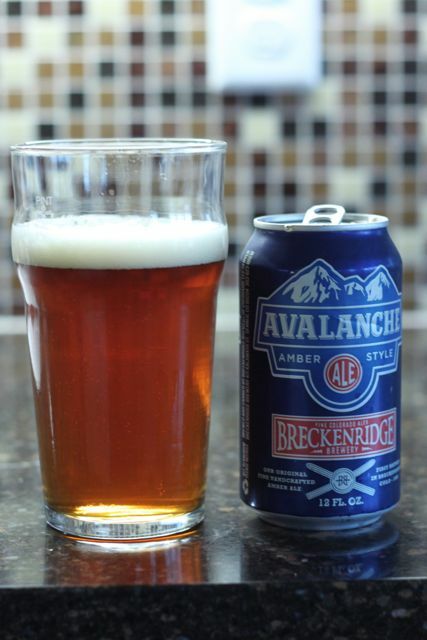 I would purchase Avalanche Ale again and avoid Summerbright Ale. Made by PakTech these rings are made from #2 HDPE plastic, which is one of the two types of plastic that are readily recyclable. However, comparing these rings with the traditional plastic “tape” style it seems like the newer rings are made from much more material. Considering that a lot of plastic does not get recycled would it not be better to use the packaging with less material? One nice feature, as pointed out by the makers of the handles, is that the fully enclosed top protects the drinking area of the can from dust and debris. It seems like a pretty minor advantage considering that I can wipe off the top of the can pretty easily. Apparently, I was not the only one wondering about this new version of the venerable six-pack. It feels like summer might never actually get here. Iowa received a record 17.66 inches of rain during the spring, triggering flooding, and leading to a general soggy feeling. It’s a good thing that I have not bottled any “lawnmower beers” because I might be craving stouts if the cool temperatures and overcast skies continue much longer. Single hop beers are taking off as brewers, both of the home variety and commercial craft type, are seeking to make beers that stand out. A plethora of hop options also makes this possible, as do techniques like dry hopping or using freshly harvested hops. According to the calculations in iBrewmaster the Chinook IPA was going to clock in at ~52 IBU and ~4.9% ABV. The bitterness was lower than the recipe called for because I reduced the boil time of the initial 1 ounce of hops to get to around the ~52 IBU, which I am beginning to think is the optimal point of bitterness. Single hopped beers are supposed to accentuate the particular hop profile of the chosen hop. I am not familiar enough with the Chinook variety to tell if anyone particular flavor or note was accentuated compared with a beer that has a blend of hops. The beer did lack some of the earthy or “piney” notes of IPAs that use Cascade or Willamette hops. The first bottle came out a little flat. I do not know if it is the “magic” or “voodoo” of bottle conditioning, but some bottles come out less carbonated than others. Maybe that’s another reason to make the transition to kegs and forced carbonation. Never mind the two to three weeks cut in production time. Next up into bottles is a recipe called Synchronicity, which should prove interesting given the use of sweet orange peel and lemongrass. AB-InBev, the corporate monster behind Bud Light and about half of the world’s beer it seems, is truly showing its corporate colors lately. Unable to innovate in terms of products, because as one commentator put it there is not much you can do to Bud Light besides add a little lime flavoring, the behemoth is turning to packaging. Two things caught my eye recently, the so-called “bow tie” can and the new punch top. Punch tops, vented cans, wide mouth openings…whatever is next make me laugh. The brewer is saying to the customer, “Please pour this swill down your throat as fast as possible so that you cannot actually taste anything and you come back to the liquor store to buy more.” In the case of Coors Light the can actually signals when it is so cold that the beer cannot taste like much more than grain steeped water. That is the idea I guess. AB-InBev now has aped SABMiller’s “punch top” can with a pop top that also punches a whole in the can for faster guzzling. You see, SABMiller’s version required you use an accessory. Granted, that accessory could be a spark plug, drumstick of the musical variety, car key, or properly branded use-specific tool. 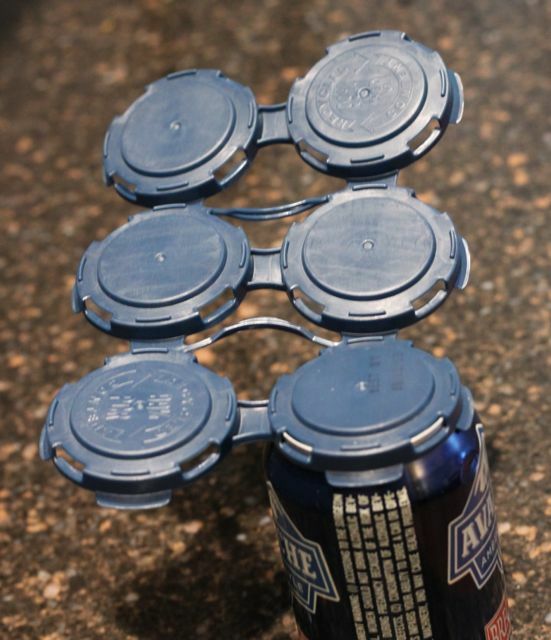 AB-InBev has done them one better by doing away with the accessory and including the power to vent the can right there on top of the can itself. Damn, that is innovation. Well, if you thought that a punch top copy was ridiculous wait until you get a load of the “bow-tie” can. Yep, AB-InBev is packaging Budweiser in a can that is said to evoke the classic inconagprahy of the Budweiser bow tie. Huh? Was anyone actually asking for a specially shaped can? Does anyone actually care? Never mind that the can actually holds 11.3 ounces of beer versus a traditional can’s 12 ounces. Oh, and it comes in a new packaging quantity…wait for it…the 8-pack. I cannot wait to check out the variety of packaging available for summer with the introduction of the 8-pack. 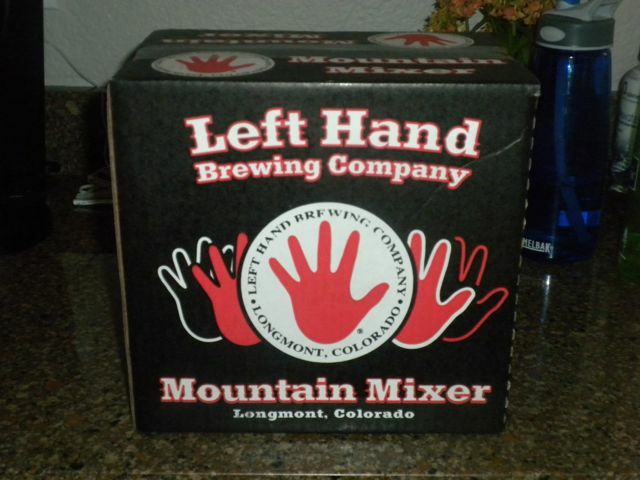 When I went to Colorado over the Labor Day weekend to visit friends in Breckenridge and Colorado Springs there were two breweries I was interested in seeking out: Left Hand Brewing Company and Great Divide Brewing Company. Scheduling prevented me from actually visiting the physical breweries and tap rooms, but I was able to track down some of the beers I wanted to try in bottles. The beers in the sampler pack are Stranger Pale Ale, Sawtooth Ale, Milk Stout, and Black Jack Porter. I apologize for the quality of the images. The dSLR did not make the trip to Colorado because I was trying to travel light to make room for two children’s stuff. This is my favorite style of beer. It’s a little lighter in body than the traditional American craft ale, but it has enough bitterness to balance that out. There is enough alcohol (5% ABV) to know you are drinking beer, but not so much that after a couple you are wondering how to make the walk up 4 O’Clock Road. Pale ales do not need to be overly bitter and strong to be successful. Look who’s here…Cascade and Willamette hops along with their friend Centennial. The two horsemen of the American craft beer movement. Man, you can really taste the Willamette and Cascade hops used in this beer. It’s not too powerful, but once you get used to looking for the particular flavor and aroma of these hops it is soooooo easy to point them out in a beer. It is the signature of American craft beers. 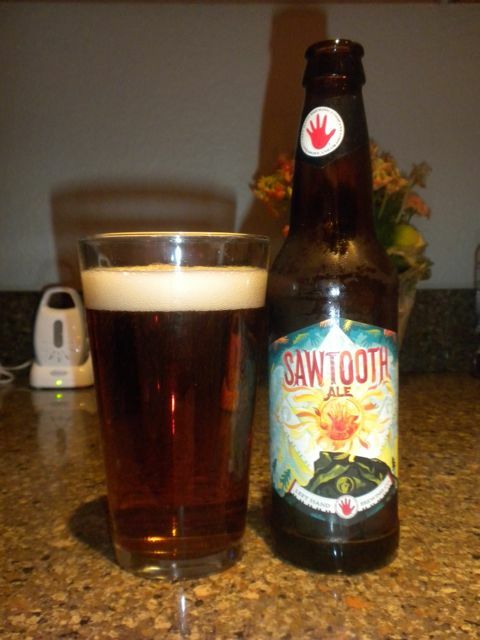 That being said Sawtooth is a great example of American craft ale. Since the arrival of Samuel Adams’ Boston Lager and New Belgium’s Fat Tire, the American craft ale has taken on a distinct form: medium amber color, Cascade and Willamette hops, long lasting head, and a strong mouth presence that lingers for a moment after swallowing. Sure, there are variations on the theme but if you line the beers up those characteristics will be present. It’s a good thing because it means that good beer is being made all over the country and the United States is developing distinct styles. Milk stouts are an interesting breed of cat. Like traditional stouts, a milk stout is a dark beer. Also like tradition stouts, e.g. Guinness, milk stout will have the taste qualities of roasted malts and a rich mouth feel. Where this variety differs from tradition is the use of lactose. Lactose, a sugar usually associated with milk, is not fermentable by the traditional beer yeasts used in the production of most beers. Thus, the sweetness of the sugar remains in the beer. 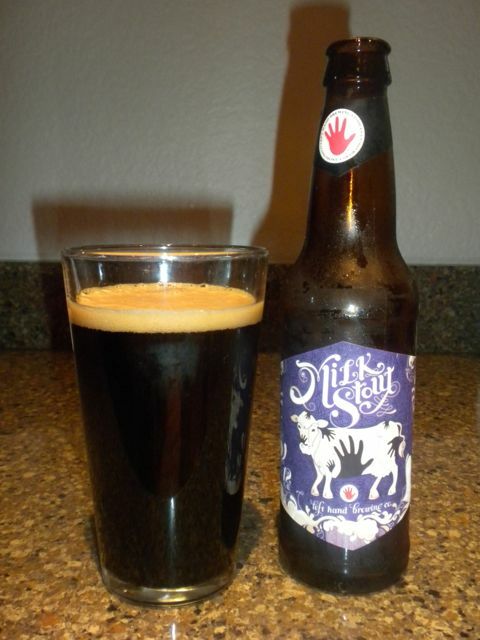 Left Hand’s Milk Stout is sweet, but not overly so. The residual sweetness of the lactose gives the beer just enough to be noticeable but not enough to become sickly. The beer is also amazingly light on the tongue for being 6% ABV which is something that attribute to the low bitterness (27 IBU). Too often a strong beer is accompanied by a lot of bitterness from some serious hopping. Not so with Left Hand’s Milk Stout. This is a great alternative to the more well-known stouts available in the liquor store. 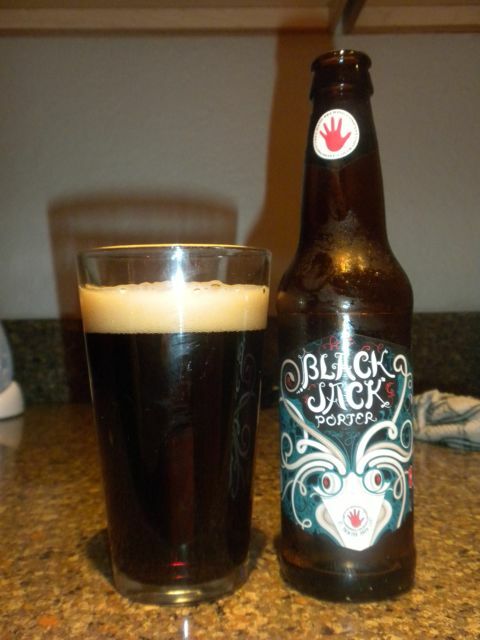 I drank the Milk Stout prior to pouring myself a Black Jack Porter because it was like stepping up a ladder on a progression. The sweetness of the Milk Stout disappears and the alcohol (6.8% ABV) and bitterness (35 IBU) go up. The dark flavors we associated with porters, chocolate and coffee, are present in spades but nothing is overpowering like a coffee stout. The chocolate malt used in this beer is a great choice and an underappreciated ingredient in the beer universe. Unlike actual chocolate or cocoa nibs added at various times during the brewing process, chocolate malt’s flavors get mellowed out over the process since the flavors are present from the first step in the brewing process. It creates subtlety. It’s pretty apparent from my notes on these beers that I really enjoyed what the fellows at Left Hand Brewing are doing in Longmont, Colorado. I hope that I get a chance the next time I am out west to stop by the brewery and taste the liquid at the source. One upside to living through the worst drought in the past twenty five years is that after a day of ferrying buckets of water to the plants you want to save a cold beer tastes mighty fine. By the third beer, as the sun goes down, you even begin to forget that your grass is crispy and the dawn redwood you planted earlier in the summer is really having a hard time. Ugh! I was brewing a new batch of beer this past week. As I was pouring the wort into the carboy, my four year old daughter stuck her head inches away from the carboy’s opening and asked, “Daddy, where’s the trub?” Yep, my daughter knows about trub. I am proud parent. For a summertime treat I went back into my homebrew past to brew up a batch of American Wheat using an extract kit from Northern Brewer. 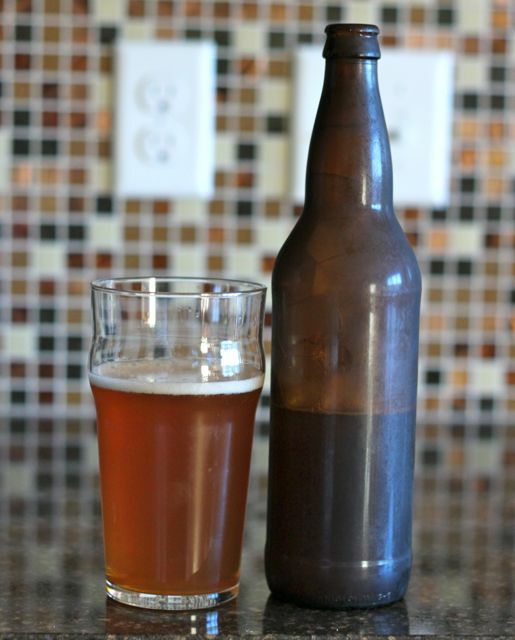 This recipe is the first one that I tried when I began homebrewing almost one year ago. Well? I have mixed impressions right now. My sinuses are burnt—a combination of the heat, allergies, and medication have left them somewhat desensitized—so nothing smells right. A big part of beers is the aroma and this beer actually smelled burnt. Literally, it smelled like burnt malt. I cannot believe that is an aroma from the beer. It’s easy drinking, which is good in a time of drought. 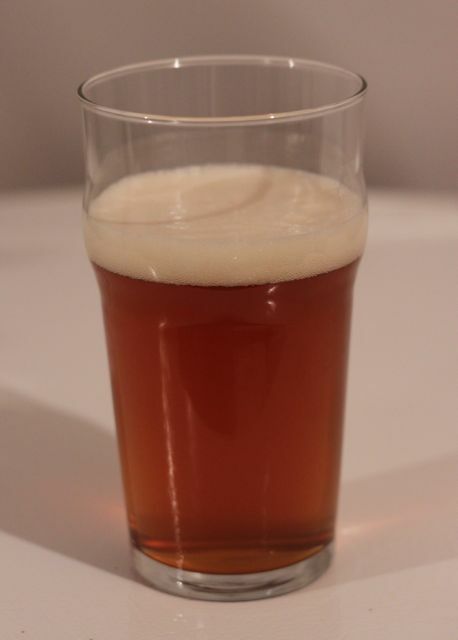 The patersbier I brewed up a few weeks ago has been put into bottles and will be ready to drink in a couple of weeks. One reason why I keep looking at a soda keg dispensing system is that it cuts out the bottle conditioning time. There is nothing as bad as waiting for a beer to bottle condition. One step that I skipped with the patersbier was secondary fermentation. Since no additional ingredients were going to be added I just extended the time in primary fermentation and went right to bottles. I am not a fan of secondary fermentation because it adds in the chance of contamination. The color on this beer is very light. It will be interesting to see how it looks coming out of the bottle. Also in a carboy right now is a batch of mild ale. This recipe is very light on hops. It only calls out 1 ounce of U.S. Fuggle boiled for 60 minutes. The more I brew the more I learn about hops. Currently, the hop varieties from the Pacific Northwest seem to dominate. How many recipes do you recall that spec out Cascade or Willamette hops? Too many to count. But, it looks like the folks from the southern hemisphere are looking to invade the U.S. beer scene. 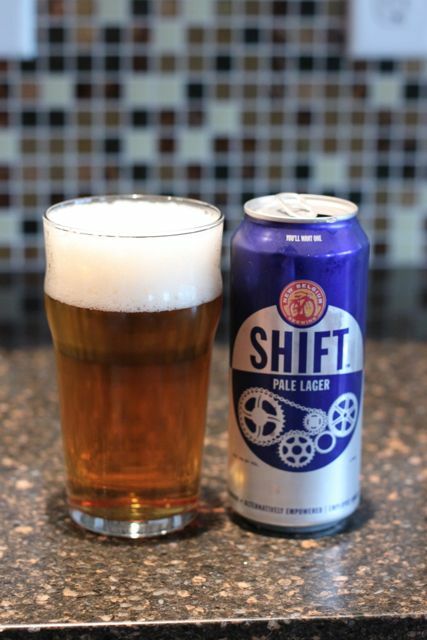 New Belgium’s Shift Pale Lager, reviewed below, uses Nelson Sauvin variety. I could not tell you about that particular hop because my palate is pretty weak at discerning the individual notes. The good thing about this invasion is that it brings more options to the table. For the longest time I remember every craft beer that I opened being an exercise in restraining my gag reflex because the over abundance of either Cascade or Willamette varieties made me think I was about to drink day old bong water. A lot of breweries have gotten away from that heavy hand, but the trend is still prevalent. If you want to experience a blast of hops like no other check out Stone Brewing Co’s Stone Ruination 10th Anniversary IPA. Not only is it heavily hopped, but it also clocks in at almost 11% A.B.V. This is a “big” beer. 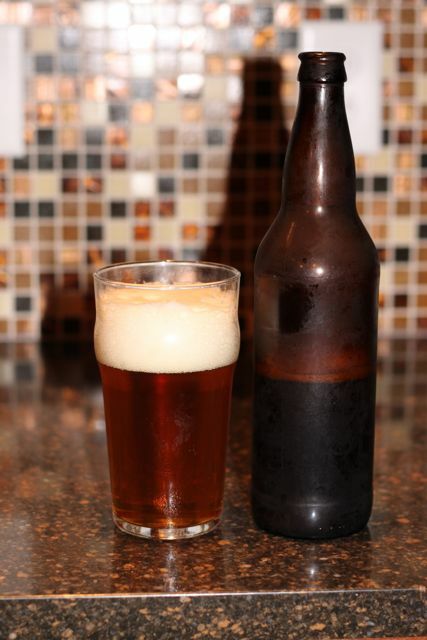 There are times when even the most disciplined homebrewer runs out of beer. I was one such homebrewer this week. I found myself facing ninety degree temps and nothing read to drink for almost a whole week. What’s a guy to do? Go to the liquor store of course, but this would be the first time in a while that I had made a purposeful trip to the beer section of my local Hy-Vee’s liquor department. One nice thing about not having made such a trip in a longtime is that there were a lot of new options. Most of the new stuff from the macro-breweries sounded pretty vile. Lime-a-rita or something like that from the makers of Bud Light. Joy. New Belgium Brewery’s new Shift Pale Lager caught my eye. When I buy beer I tend to gravitate toward styles that I do not make myself. Lagers fall into that category because I have not gone to the trouble to devise a fully climate controlled fermentation system preferring the room temperature joy that is ale. The taste is anything but pale. Apparently, the beer uses four different hops (Target, Nelson Sauvin, Liberty, Cascade). The neat trick is that this beer does not taste overhopped like so many other craft beers. Oh sure, you can taste the hops but the bitterness and aroma are there in the right amounts. Unlike beers that are heavy handed with varieties like Simcoe or Amarillo, which seem to be the hops of the moment, the mix of four varieties produces something that is more complex than a one note daisy cutter on your palate. This beer definitely fits into the “lawnmower” category that I do not find derogatory in any way. It’s available in 16 ounce aluminum cans so it is venue friendly. This is important in the summertime when the safety police outlaw the presence of glass bottles. What is the official beer of the 2012 Olympics? Why, Heineken of course! Huh? These games are being help in a country that is home to the Campaign for Real Ale. A country that has a long history of unique beers is going to be serving pale Dutch swill for the ever so reasonable price of £7.23 or just over $11. Nothing like laying down over ten bucks for a schwag imported beer in England. What’s next, ordering a Bud Light under the shadow of St. James Gate in Dublin?